Ensure that the relationship between the proposal and organisational budget is clear. State precisely what you need. Offer an explanation of the line items: this allows for an understanding of how the budget will be spent. The narrative should complement the budget so align the proposed work to the budget presented. If parts of the organisations are already funded, it may be worthwhile to reflect this. This offers an opportunity to show prospective supporters that other donors have confidence in the work that you are doing. 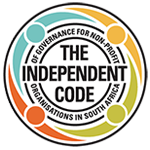 ASK Inyathelo Toolkit: For a sample of an operational budget that does not include specific projects but focuses on the operational costs of the organisation: Book 2 on Fundraising Basics, p.11. For an example of a project budget: Book 5 on Fundraising Meetings and Writing proposals, p 26-27. In addition, you are welcome to download our pocket guides on Budgeting for Sustainability and Proposal Writing. *The content in this article has been compiled with input from our recent proposal writing sessions conducted by Gillian Mitchell (Inyathelo Associate).